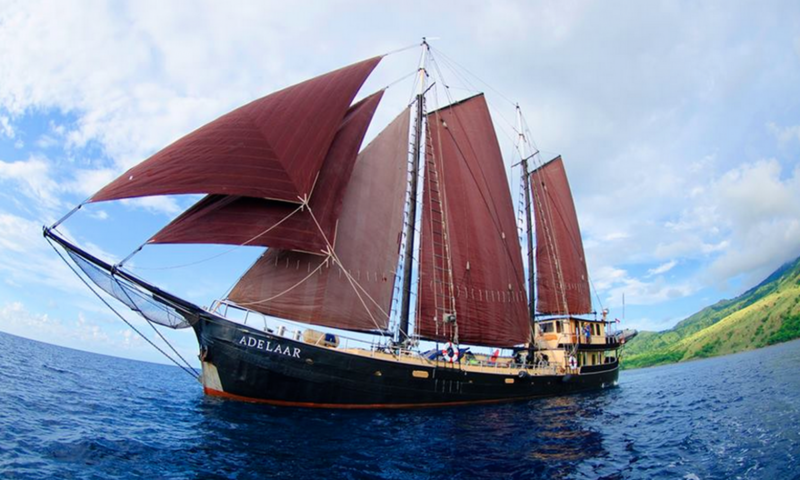 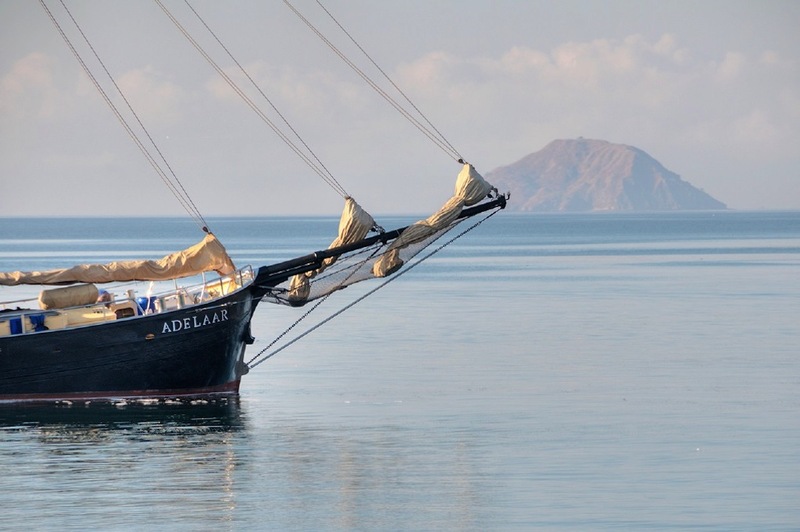 Sailing yacht ADELAAR was built in 1902, she is 38m (125ft) in length and can accommodate up to 8 charter guests, in 4 cabins. 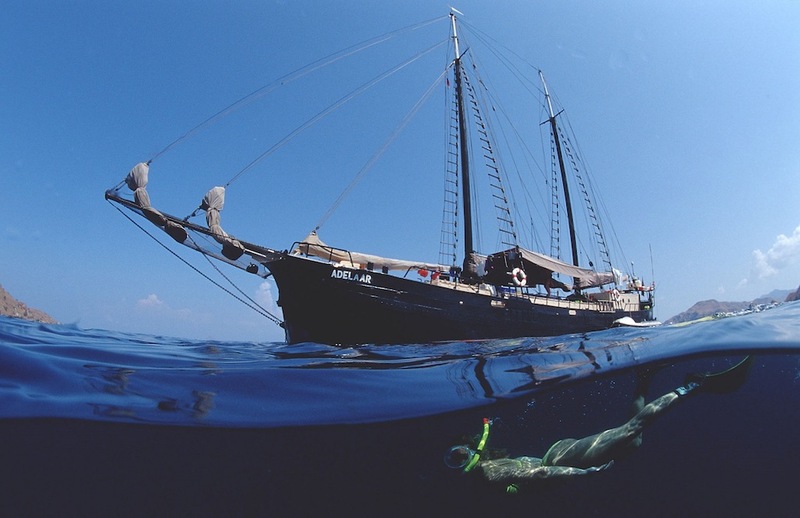 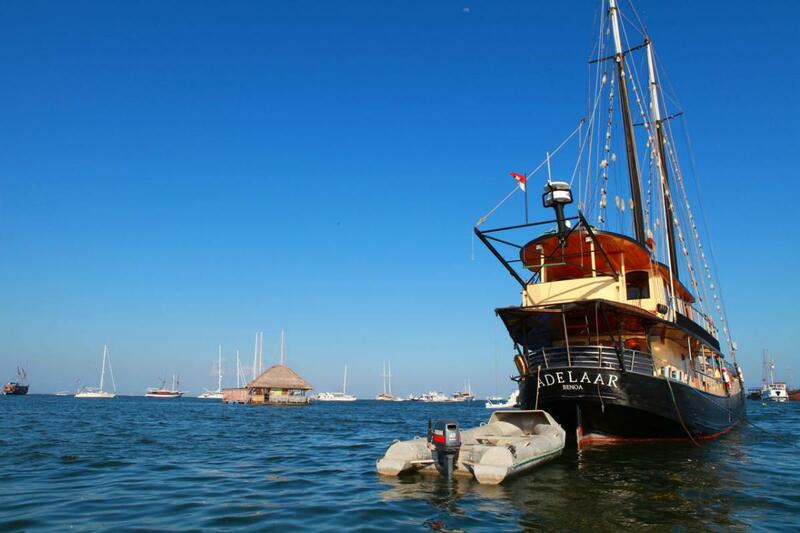 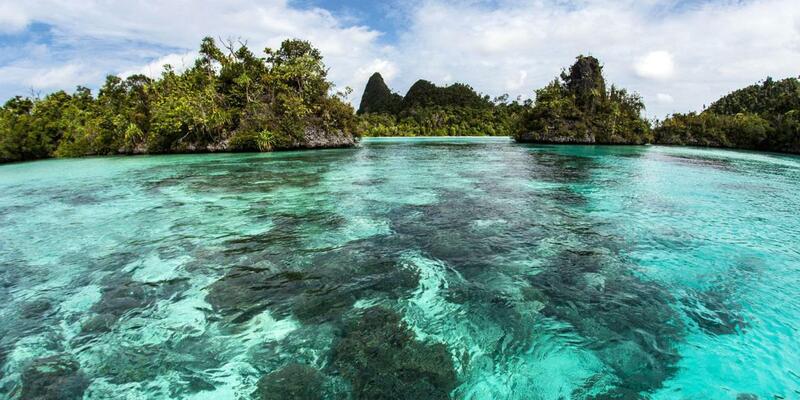 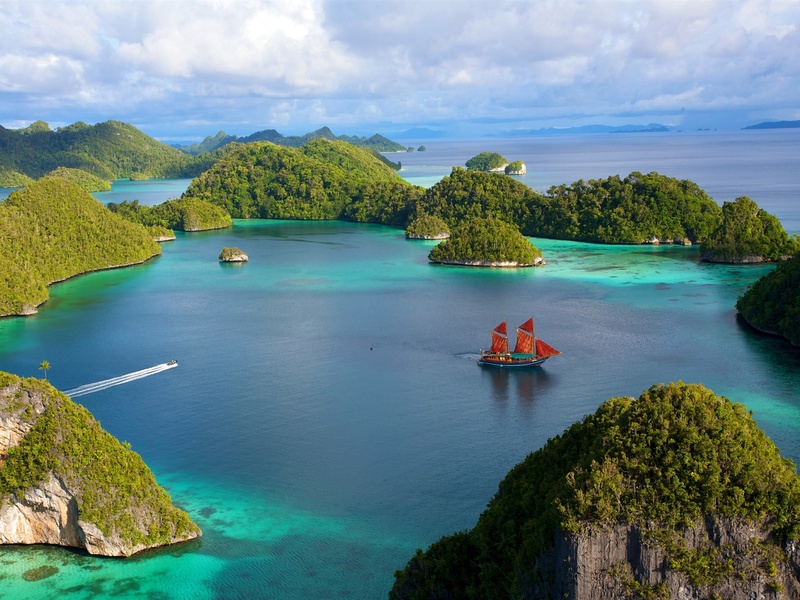 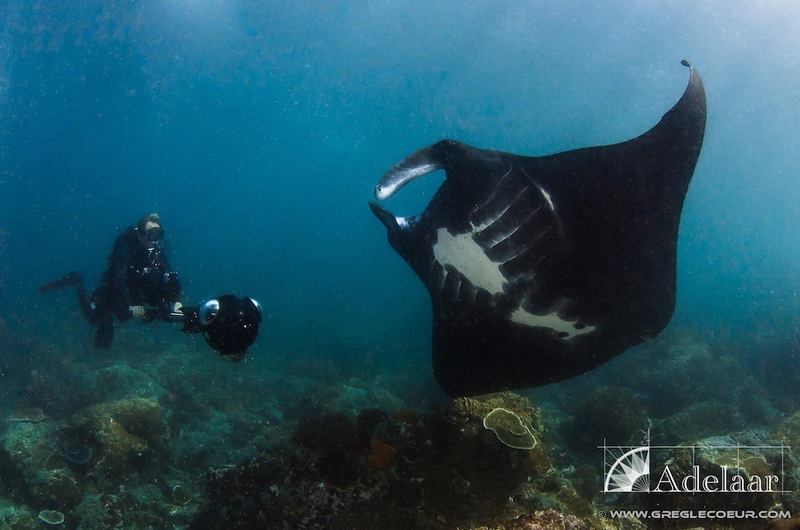 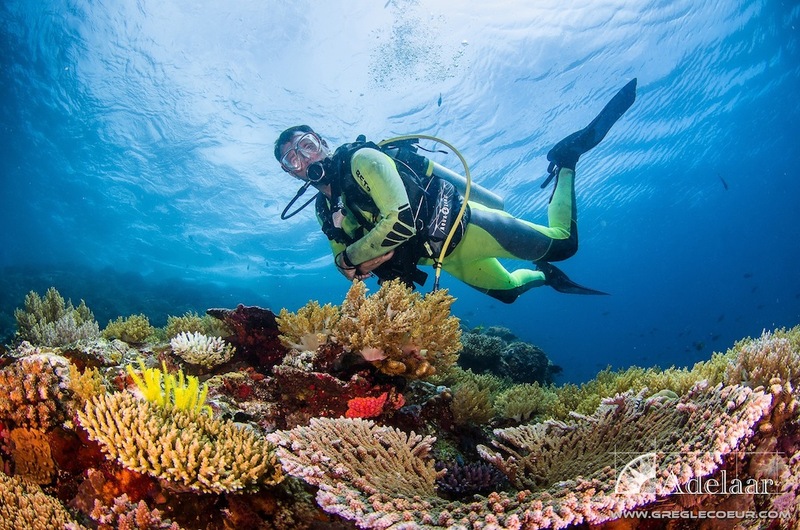 The yacht specializes in 11 day cruises from Bali to Komodo year round, enjoying the beautiful diving and stunning scenery. 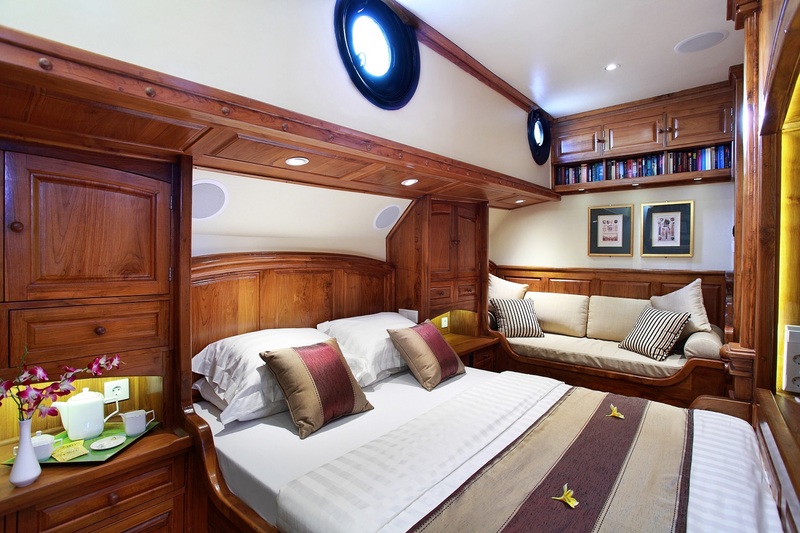 Her interior décor is elegant, finished in traditional teak paneling and timeless furnishings. 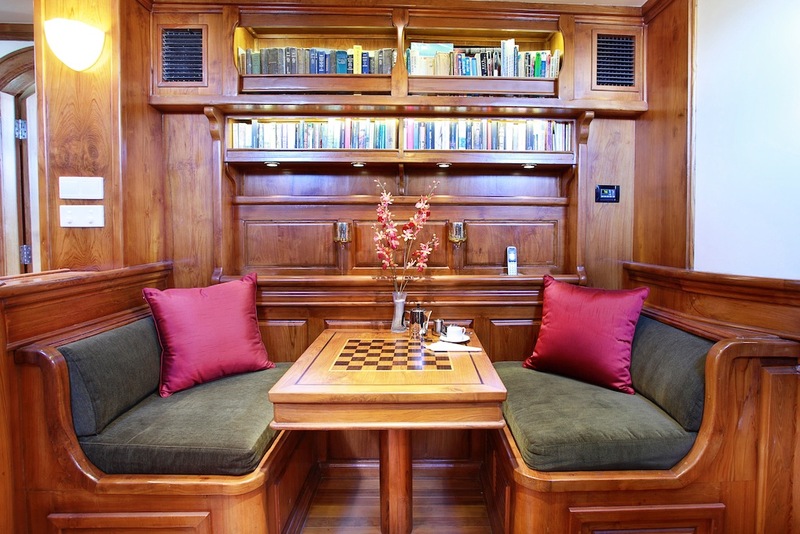 The salon is on the lower deck with a relaxed atmosphere, guests can lounge on the sofa, play a board game, watch movies and listen to music, all while enjoying a tasty beverage from the bar. 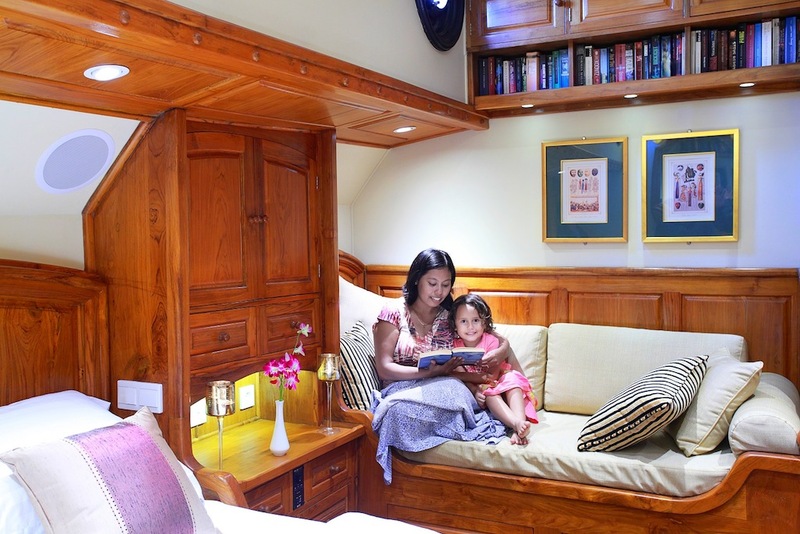 Accommodation is also on the lower deck, including 1 full beam master suite, 2 double cabins with sofas and one double cabin with double bed. 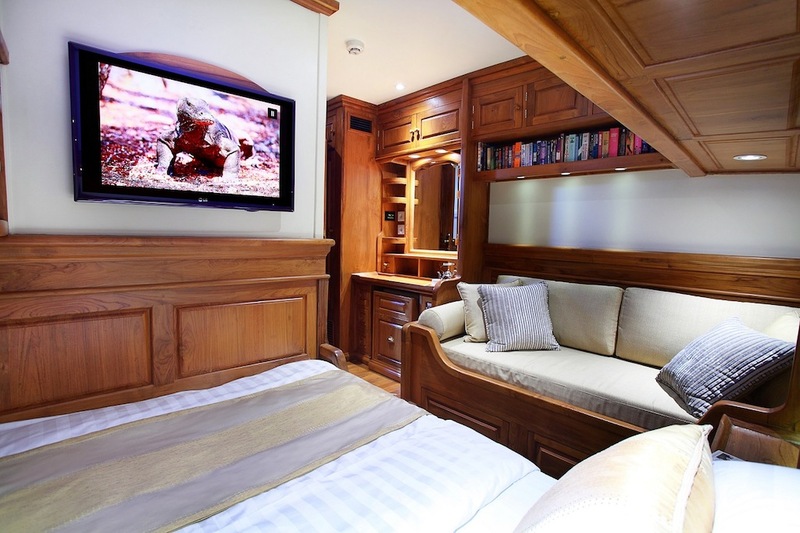 All 4 cabins are en-suite, boast individual air conditioning systems and full entertainment facilities. 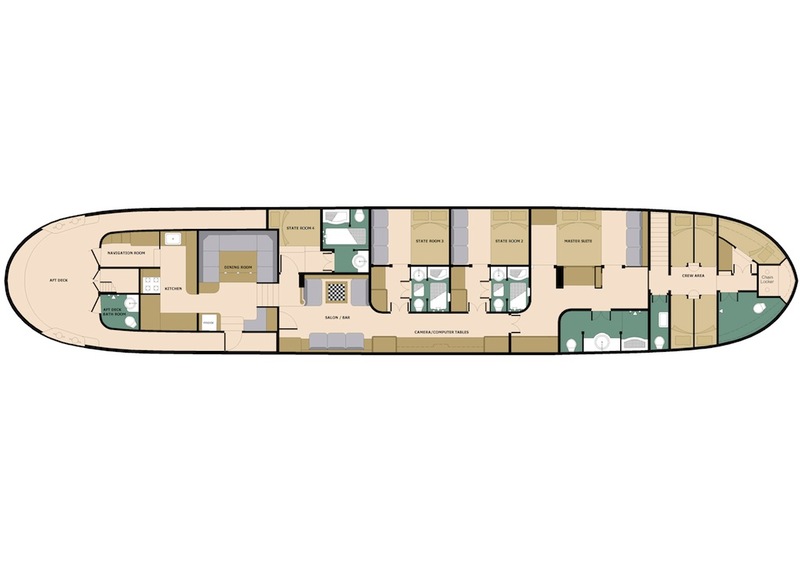 On the upper main deck is the formal dining space, complete with a large table for 8 guests, as well as panoramic windows, ensuring optimum views. 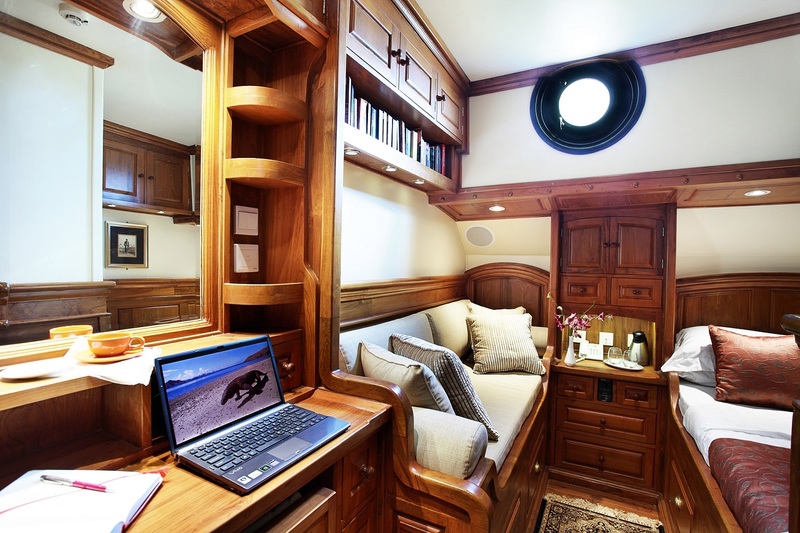 Exterior living is very well-appointed. 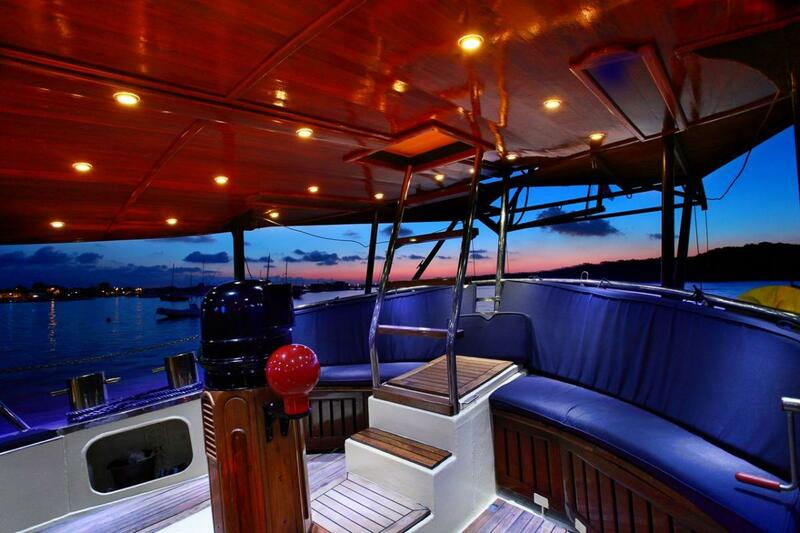 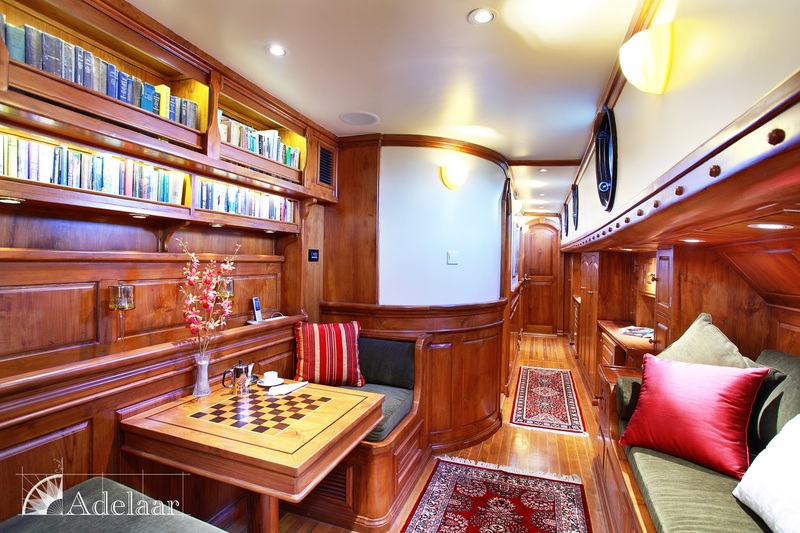 The main deck has an intimate aft seating area under the shade of the upper deck, perfect for a quiet escape. Her upper outside deck offers a large alfresco dining table with ample seating and sunning space. 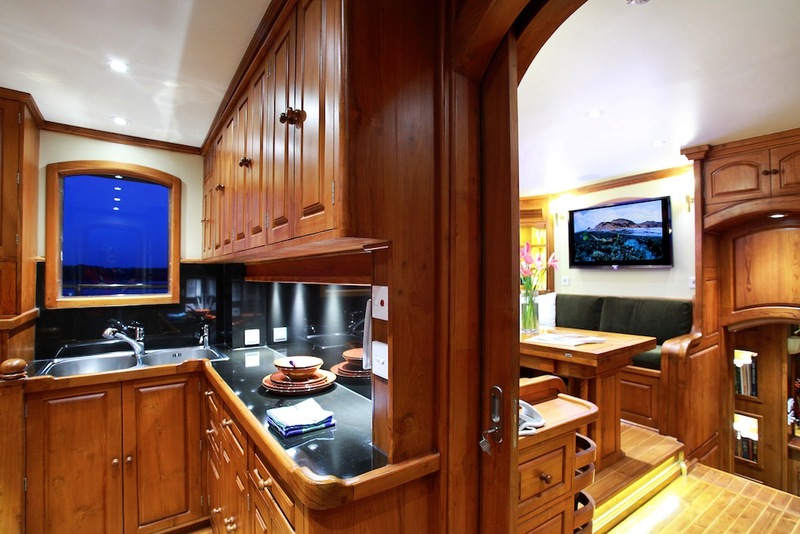 Shade is provided by a large bespoke fitted Bimini cover. 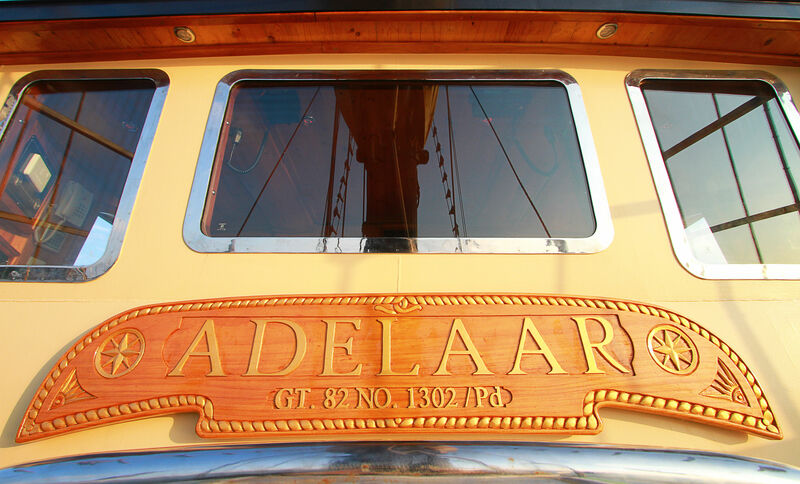 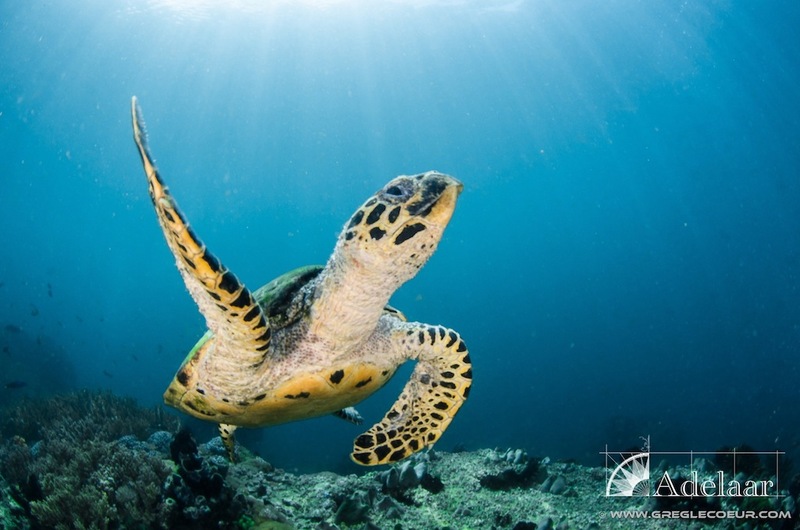 On the main deck, ADELAAR includes a day head, aft of the formal dining space, with access from the exterior deck, it is ideal for divers returning from the sea. 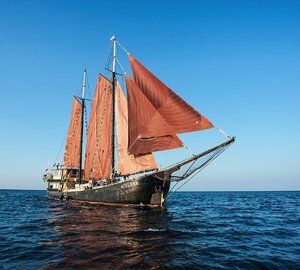 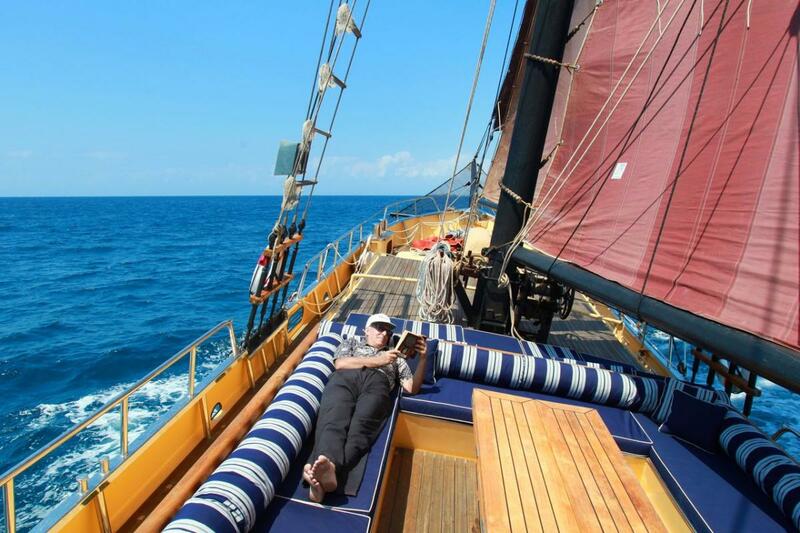 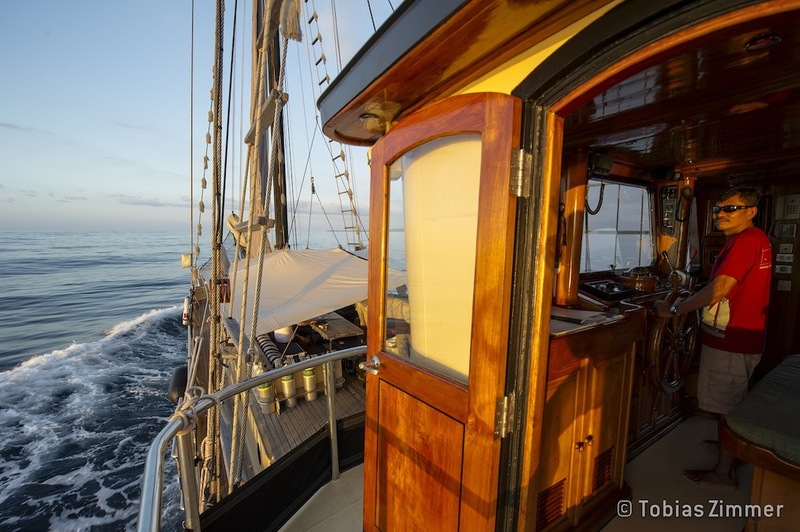 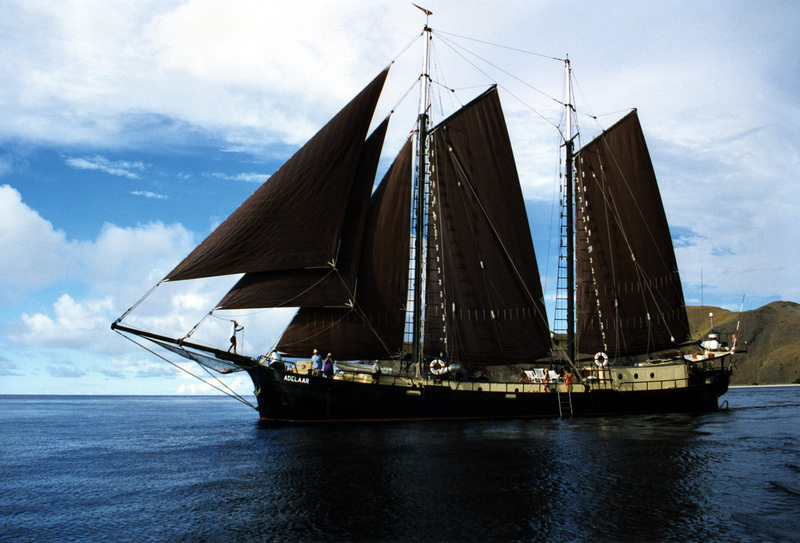 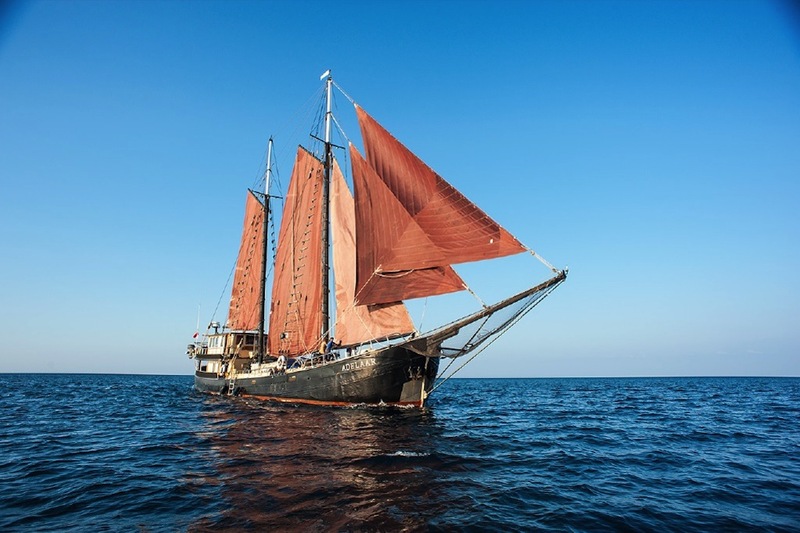 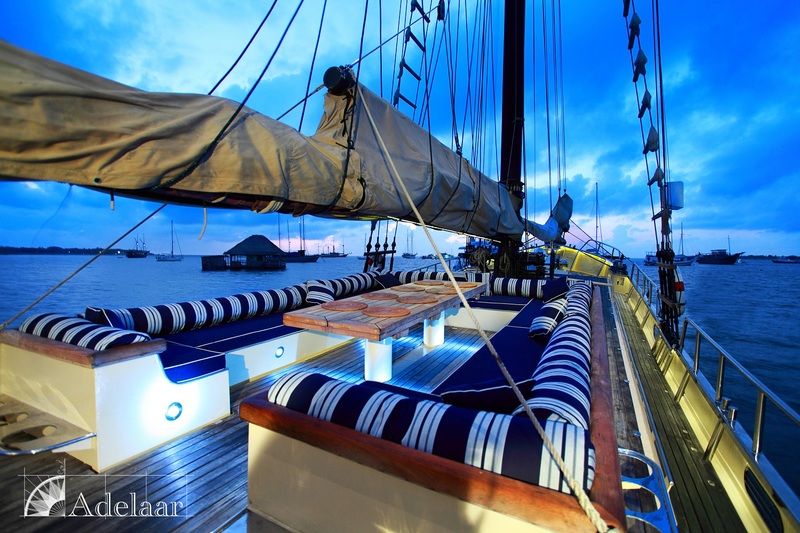 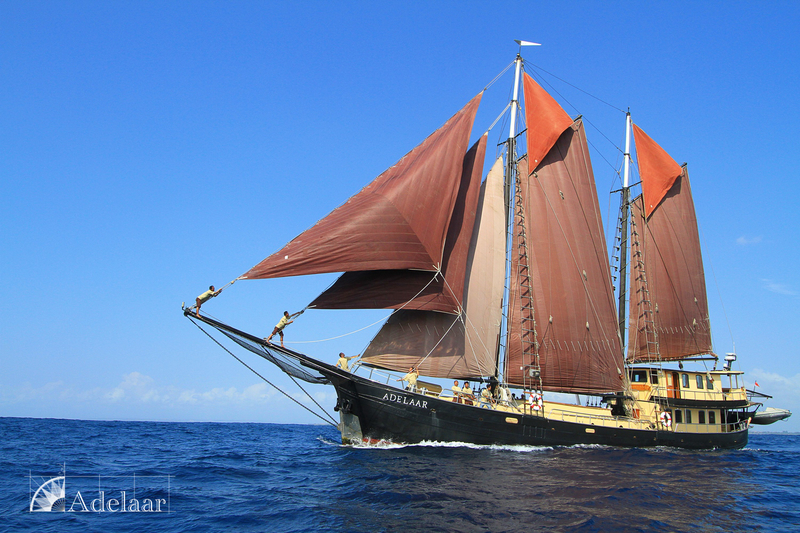 The Dutch built Schooner is powered by a Mercedes 380hp engine while not under sail. 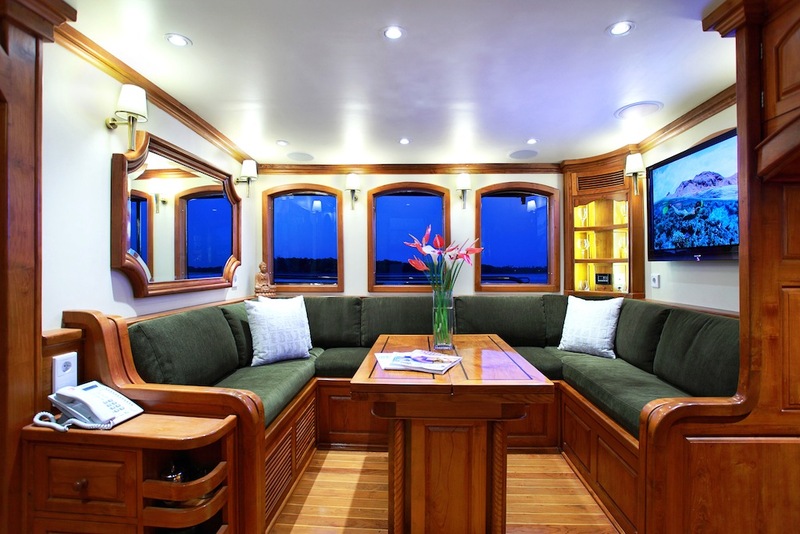 She boasts 3 generators, on-board Bauer dive compressors, a Nitrox system and water maker. 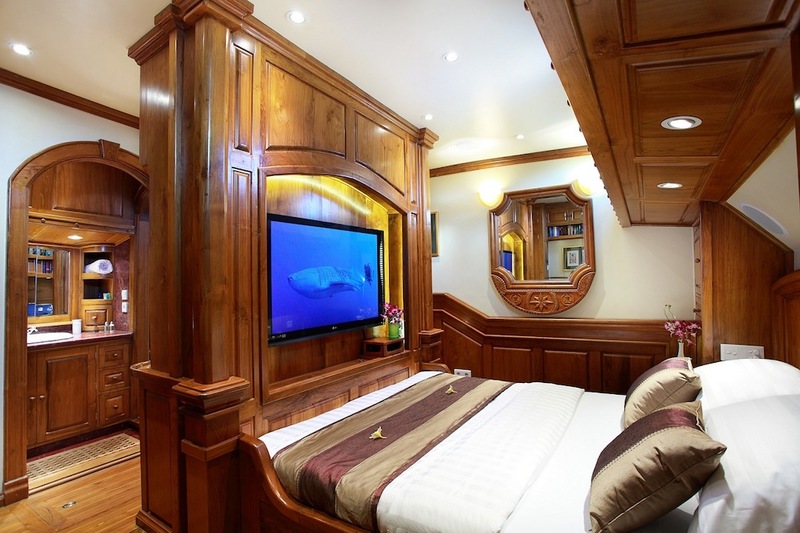 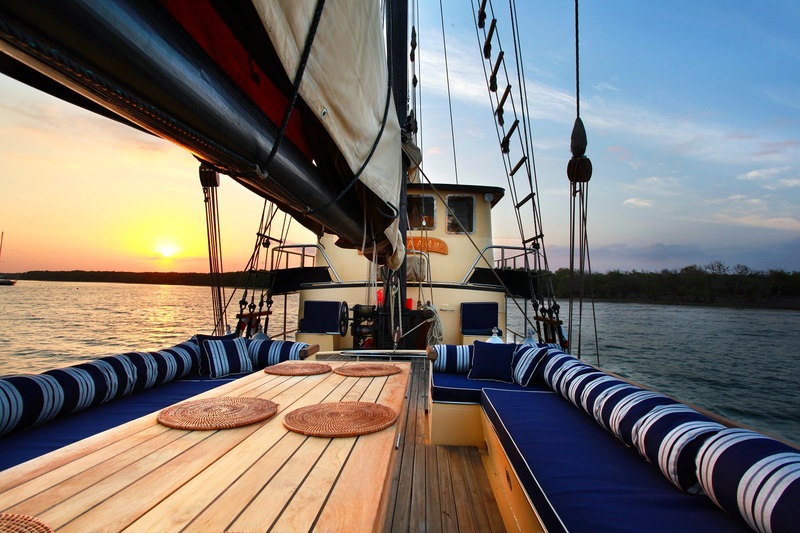 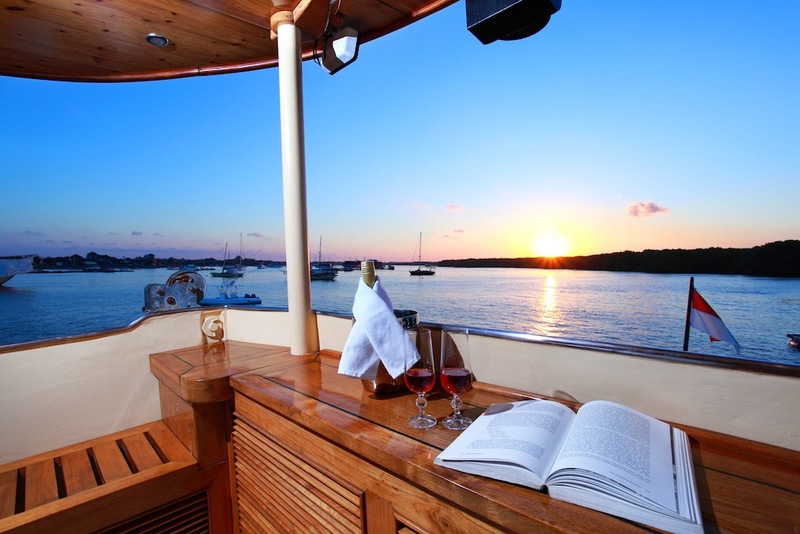 Accommodation is provided for 8 charter guests, in 4 cabins. 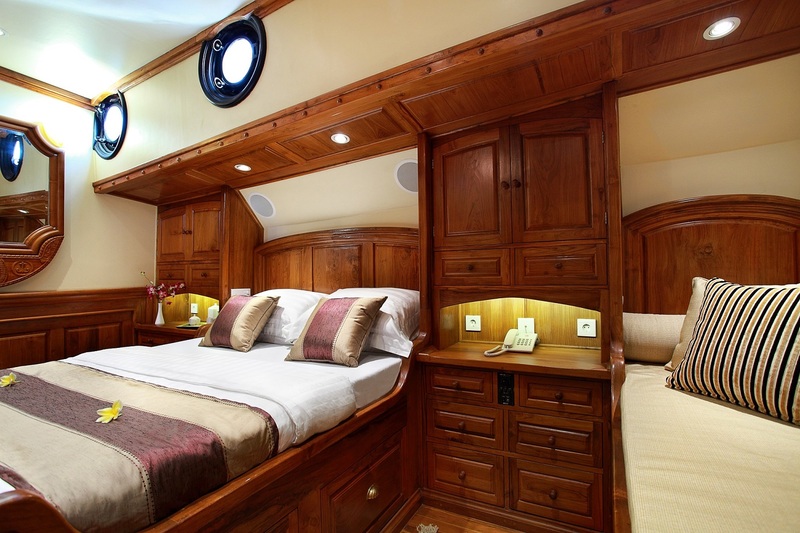 The master cabin is full beam of the yacht, with a queen size bed, desk, sofa, large ensuite bathroom with marble finished shower and his and hers sinks and head. 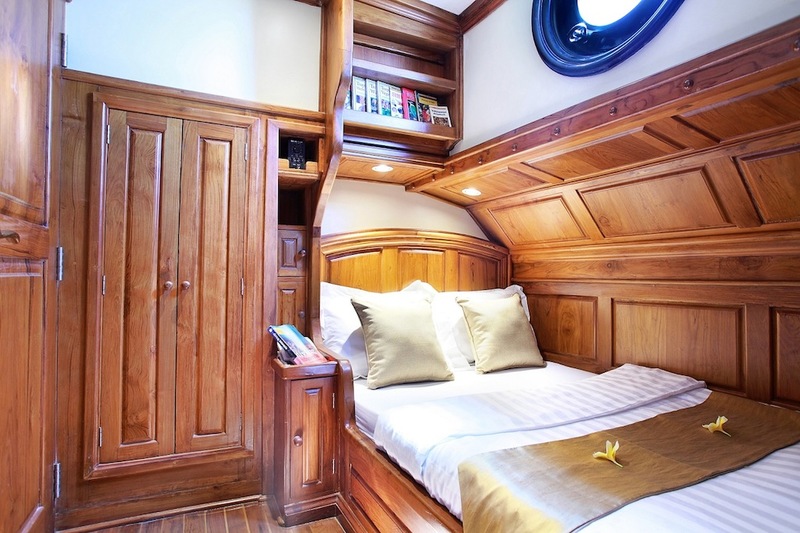 Two guest cabins each have double beds and a sofa, as well as marble shower room with head. 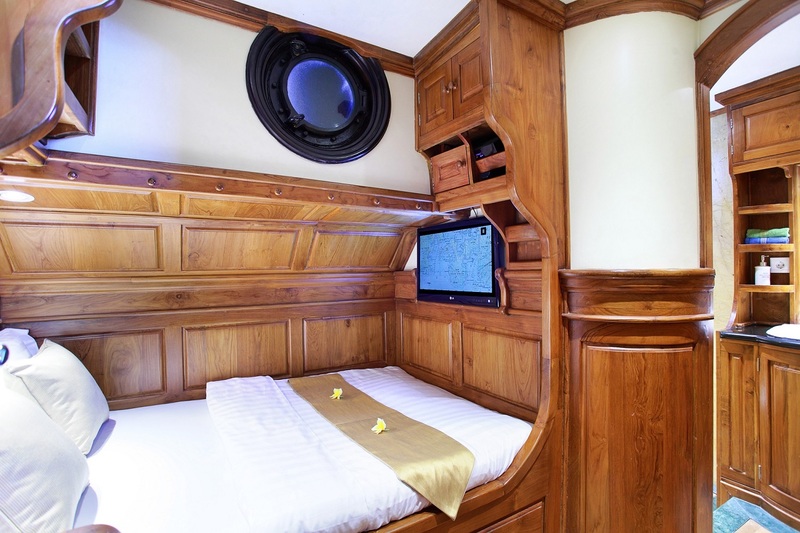 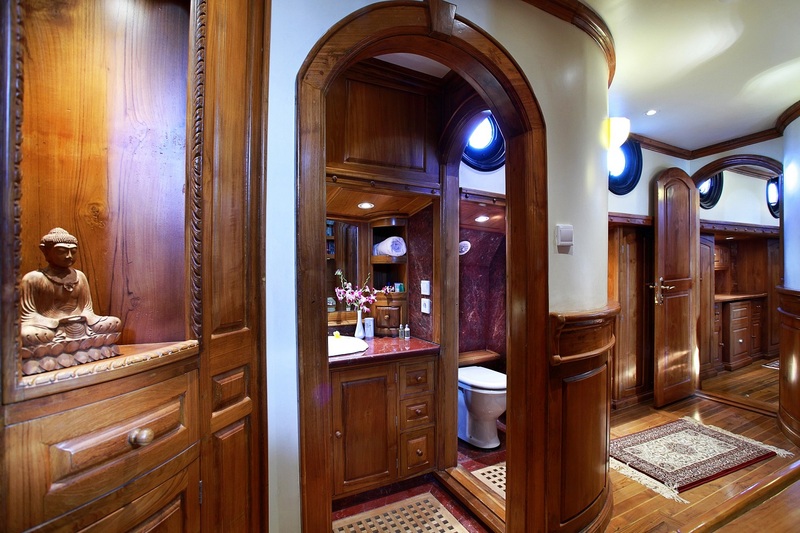 The 4th cabin offers a double bed and marble shower room with head.